Supporting a SATA interface and built around a powerful controller, Transcend's 8GB MSA570 SATA 6Gb/s SLC mSATA Internal Solid State Drive delivers blazing-fast performance and long-term reliability. 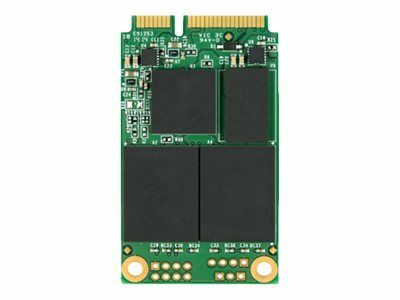 The compact mSATA form factor is just one-eighth the size of a standard 2.5" drive, making it perfect for use in space-constricted portable devices such as ultrabooks, tablet PCs and slim servers. The MSA570 features Advanced Global Wear-leveling and Block management for reliability as well as Advanced Garbage Collection, Enhanced S.M.A.R.T. function, Security Command and Device Sleep Mode. 2" x 1.2" x 0.2"